This year is all about exploring the cut-on sleeve, it seems. Today’s pattern, which comes from a German magazine, is no exception. Last year, I shortly fell into the rabbit hole of German eBay. 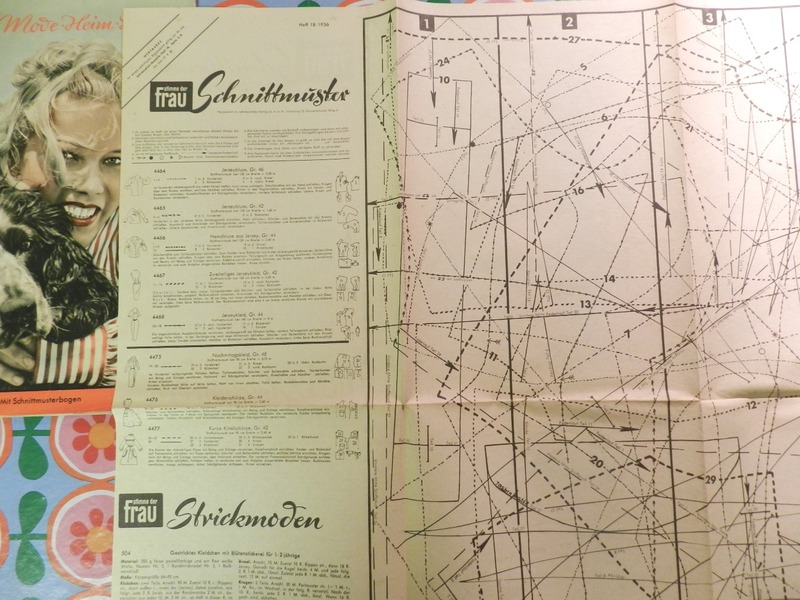 Feeling overwhelmed by the choice and not willing to spend a lot of money on something I was not sure I was going to use, I bought some random magazines for a relatively low price, including three 1956 issues of Stimme der Frau. Stimme der Frau no. 18/1956. 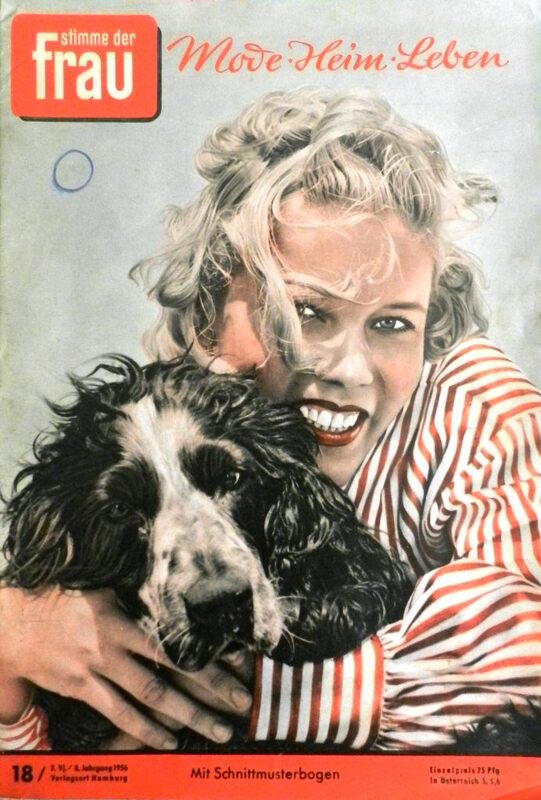 I really like this cover, messy hair and dog and all that. This magazine is not entirely devoted to fashion and patterns, but also contains articles on entertainment and society. 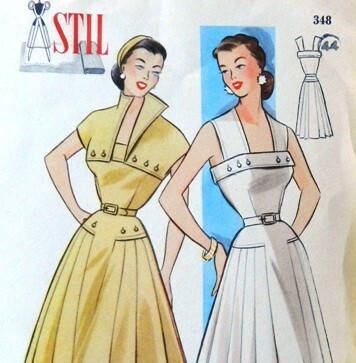 The advantage is that the pattern sheets are not too dense and comparable to those of today’s Burdastyle magazines. 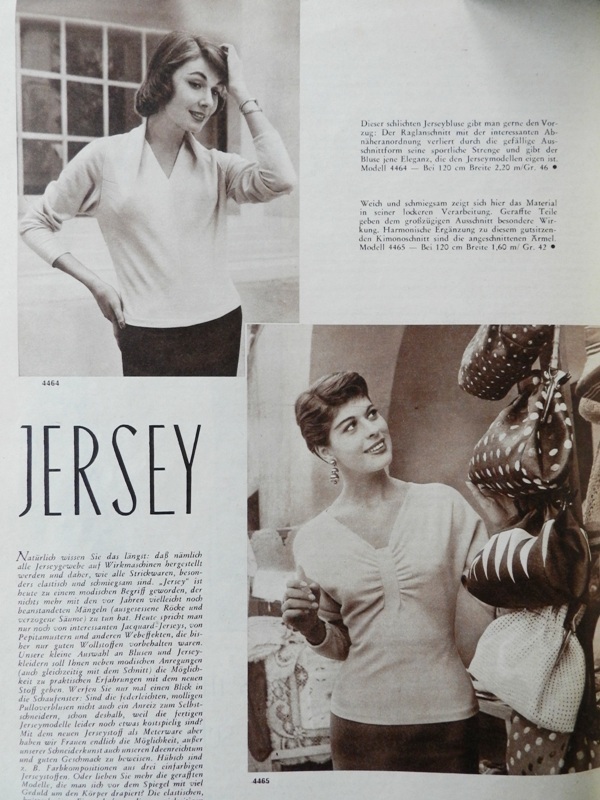 One of the magazines features a special on jersey that includes a couple of casual designs with a distinct fifties style. Last year, I made the sweater with the intriguing neckline pictured in the top left corner. This sweater, which only comes in a size 46, turned out to be much too large on me. This time, I decided to give the top with the gathered bust a try. 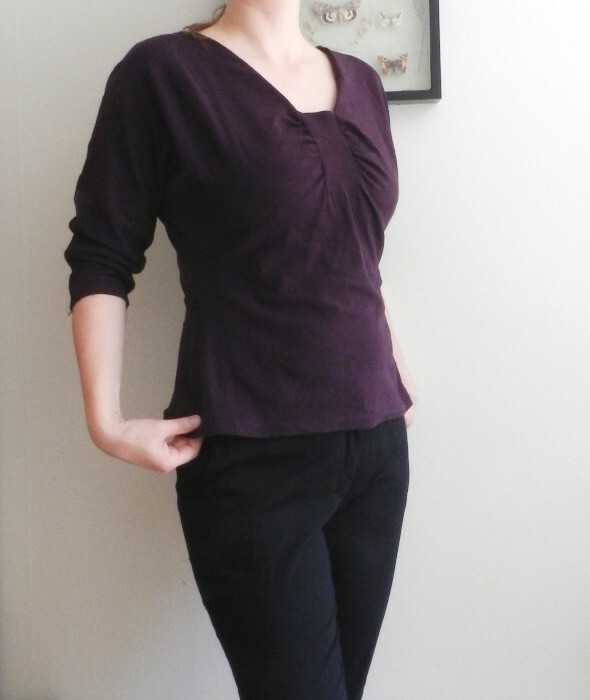 This top is a size 42, which seems pretty close to a present-day (European) size 42. I lengthened the top with a couple of centimeters and smoothed out the dramatic curve from the waist to the hip, other than that I did not make any fit adjustments. 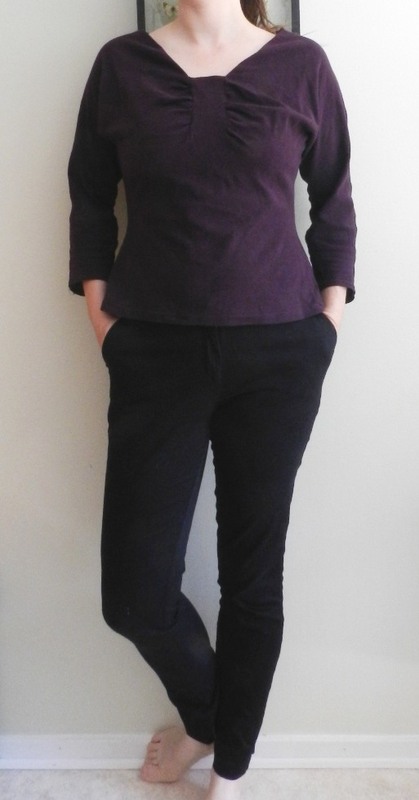 I think the fit around the neckline, bust and waist is okay, but it is a bit baggy in the back and sleeves. Looking at the photograph in the magazine, however, it seems like it is supposed to be loose in that area. The weather has been horribly autumnal lately, so the pictures did not turn out that great. The fabric is a 100% cotton double knit that I bought together with a whole bunch of other, more colourful, jersey fabrics from Stoff & Stil shortly after my daughter was born. 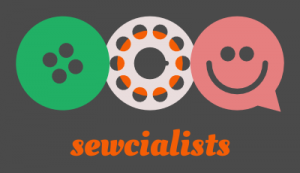 As it turns out, I do not enjoy working with knits that much despite owning an overlocker. Most of that fabric haul, which cost me a small fortune, still sits in my stash. Anyways, it was actually my daughter needing some matching leggings to wear with a shop-bought tunic that prompted me to pull out this fabric. I figured I could make more economical use of the fabric if I cut out the leggings and top at the same time, especially when cutting both the front and the back of the top on the fold. The back has a nice little V-neck and two fish-eye darts emphasizing the waist. As the top consists of two main parts only it came together quickly. 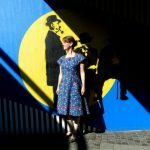 I sewed the seams on my overlocker, while stitching the darts and gathered bust on my regular machine using a narrow, long zig-zag. Hemming was done with a twin needle, at least I am starting to get the hang of that! If I ever make this top again (not sure I will, though) I will use elastic for the gathering. I have done this a couple of times on baby leggings with good results. The disadvantage of sewing such a simple model is that the finishing seems to take ages. I was especially struggling with the neckline. The very short instructions tell you to use strips of bias fabric, but I decided to make facings with self-fabric and fusable interfacing. 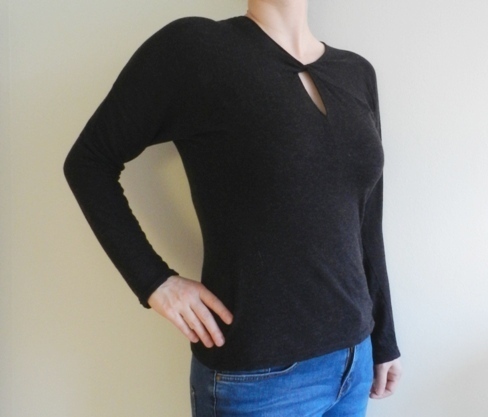 This worked really well on the first top, which has a V-neck. On this top, however, the facings kept popping out despite under stitching. 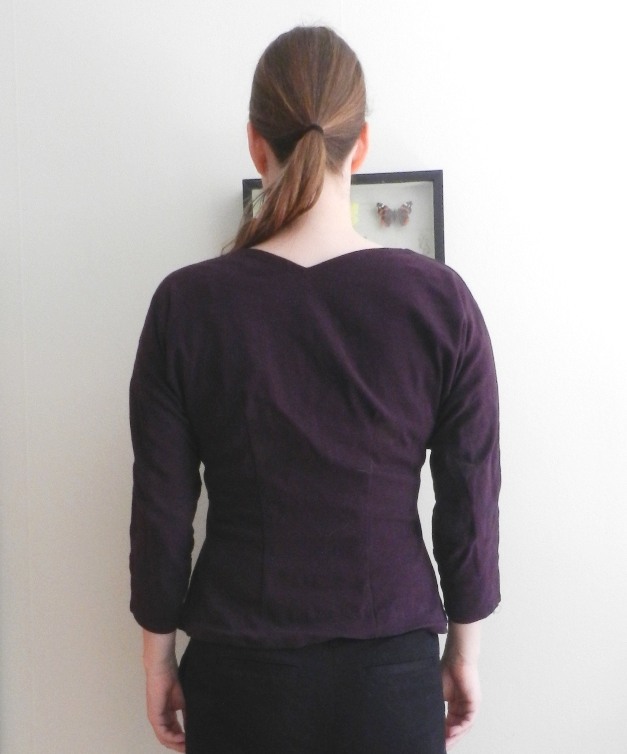 I top stitched the back neckline, but am not sure what to do about the front, so it still looks a bit wonky. Well, at least it is casual. 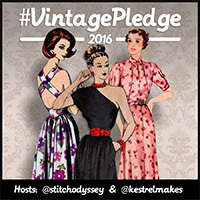 This is the fourth of five vintage garments I pledged to make this year and my least favorite so far. While I do not love the result right now, I think I will give it a couple of wears before making any changes. 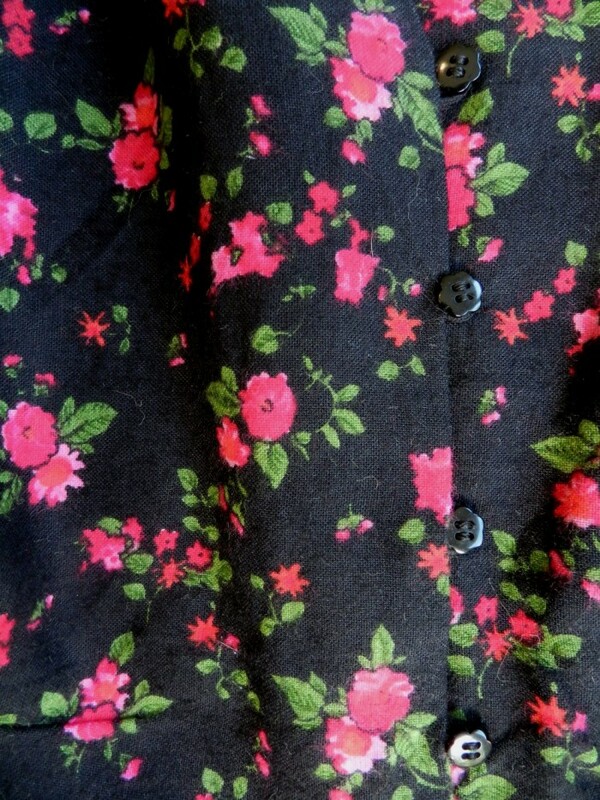 Right now I rather spend my time finishing the 30s blouse I have been working on for the past couple of days. Spoiler alert: it has cut-on sleeves. 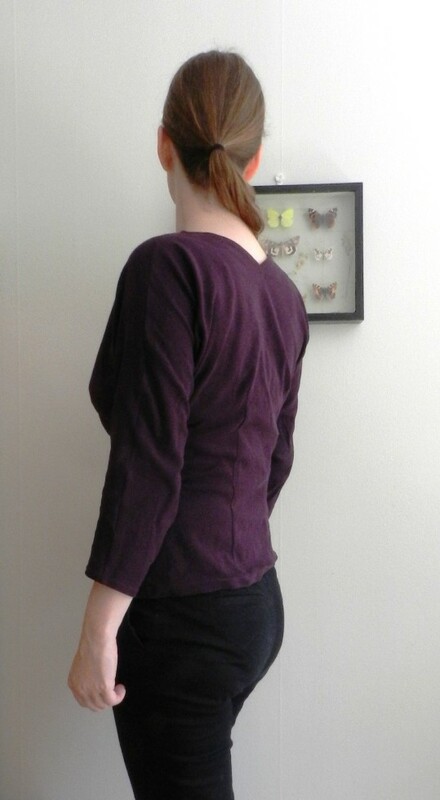 Cotton double jersey: Stoff & Stil. Fabric c. 150 Sek (c. 16 Euro) for both the top and the toddler leggings I made at the same time, some scraps of interfacing and thread c. 10 Sek. Thanks for the feedback! Yes, the knit is pretty heavy and probably too bulky for this pattern. I had trouble envisioning what type of modern-day knit would work best for this top. From what I understood, knits were quite different in the past (not very stretchy, but not bulky either). The patterns for jersey in the magazine are very structured with lots of darts and seams. I enjoyed working with the magazine, but did not have much fun sewing the top and I think it shows! Thank you! Yes, it is a pretty cool pattern, perhaps I will make it again someday in a better fabric.